Quilt - "Esprit de Corps"
Time to admire a wonderful achievement and support a marvellous project. During the last week of July, Rose Piper and Robyn Falloon launched the Lions Club of Doutta Galla "Quilt - Esprit de Corps" Project at the Craft & Quilt Fair at the Melbourne Exhibition Centre. After many months of planning and with the kind permission of Sue Garman (USA) to use her Friends of Baltimore quilt pattern, Rose and I sent out gorgeous invitations to twenty of Victoria's master quilters to attend a wonderful lunch at our home in Trentham. This took place on Melbourne Cup Day last November. After a sumptuous lunch, we invited them all to participate in this exciting Quilt â€“ Esprit de Corps project and we explained that we will be raffling this extraordinary Baltimore style quilt. Our brief outlined the proposal, along with our expectations of all participants, meeting calendar deadlines, masterful workmanship, the sponsorship by the Lions Club of Doutta Galla, and an outline of the work done by the Caroline Chisholm Society to which all proceeds will be directed, they all enthusiastically agreed to join the team and have been working on the stitching and construction of this spectacular quilt from then until mid July - just in time for this year's Craft & Quilt Fair. From set up day at the Craft & Quilt Fair on Wednesday 24 July, through to the close of the fair on Sunday 28 July, we received an amazing response to the Esprit Quilt from the thousands of visitors to the Fair. Our quilt was an absolute show stopper and hundreds of visitors to the Fair stopped to read about the quilters and the story of the quilt. The public response was nothing short of amazing with comments such as 'holy moly', 'that is simply BREATHTAKING!, 'it would have won Best of Show if it was in the competition', 'that is amazing', 'what a wonderful project', and more. We now expect the quilt to tour to guild shows, major exhibitions and selected shops over the next ten months prior to the Gala Dinner and prize draw on 5 June 2014. It is such an exciting project with many unexpected approbations as well. 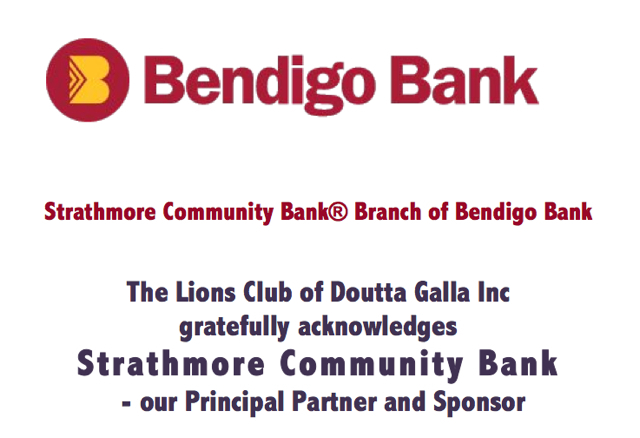 We also promoted Lions at our stand, and invited expressions of interest in forming a Lions Club of Quilters. From this first outing of this amazing quilt, we have about forty who would like to know more about joining Lions as a special interest club. This is exciting and we are preparing the next steps to take this further. I am confident that around half have indicated that they are already 'in' so a new club does not seem too far away. I extend my sincere thanks to the event organiser Sydney based Expertise Events, for so generously providing the floor space, lighting, carpet walls, table, chairs and power and a wonderfully prominent corner position at stand K09. This support has been amazing and incredibly appreciated. Our target is $20,000 minimum, and all proceeds will go to the Caroline Chisholm Society which assists women and young families through pregnancy support and domestic violence issues. The proceeds of this project will be funding some of the fit out of rooms in their relocation from a very old and cramped house in Moonee Ponds, to larger and more welcoming and practical premises in North Essendon. Planning permits have been approved and the refurbishment process is moving along well. Our success at the Craft & Quilt Fair last week indicates that our target now seems possible. 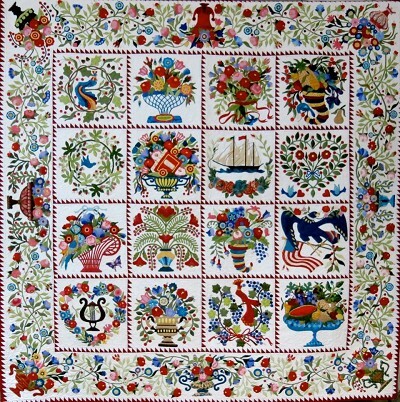 The prize of course is the magnificent Baltimore Quilt pictured here â€“ and we hope that it goes to a good home!!!!! The story has been in several community newspapers from Terang to Moonee Valley, and will also be featured in some of the quilt magazines in Australia and France, and in other media over the course of the project. o	prepare a flyer with possible short and long term goals or projects which could be accomplished by that group, and which might relate to that group's interests â€“ it is important to capture the imagination for what might be possible. o	follow up with a one hour information meeting with an enthusiastic facilitator and speakers followed by question and answer time and tea/coffee.